Recent research conducted by MPP Global found that publishers are still wrestling with the idea of which business model is ‘right’ – what content should promote brand awareness, what to give away, and where the crown jewels should be kept. It’s clear that publishers today are embracing a myriad of monetisation opportunities, including the adoption of freemium and metered paywalls. In this post, we’ll explain the difference between freemium and metered models, and look at what factors influence paywall strategy. Freemium is the combination of free and premium content. This business model enables publishers to provide access to a portion of its digital content for free, while its premium, quality content requires either a consumer to register, subscribe or pay to view the content. The publisher can determine which content goes behind the paywall and which content is provided for free, it is entirely under their control. Metered Paywalls work differently, as the amount of free content a user is able to view can be based on a much wider range of aspects. These can include number of page views, the number of articles, time spent on site, the geographical location or the device the consumer is using to access content. After the consumer has viewed the set amount of free content, publishers can set a rule that determines whether the consumer will have to register, complete a survey, subscribe or pay on a ‘pay-as-you-go’ basis to be entitled to access further online content. These two different models enable media companies to offer both free and paid content, catering to different markets and types of audiences. Freemium business models have been around for over two decades and enable publishers to attract readers to their website, after which the publisher can draw the reader’s attention to what is deemed premium quality content. Utilising this model, publishers provide their online readers with the chance to acquire a taste for the digital content available on the website. The freemium model also enables publishers to showcase the premium and quality content on the site by requiring payment to access it. Compared with having to make payment in order to access any content, if readers have already sampled the content available, then the request to pay for the truly quality content does not seem such a demanding request. This model has enabled The Financial Times to reach a combined circulation of 690,000 across its print and digital readers, while in Norway, the country’s second largest tabloid newspaper, Dagbladet, reaches nearly 800,000 online readers daily. Metering technology is not only being utilised by media companies for paid content, but also when adopting data walls, survey walls and share walls, enabling businesses to collect more personalised information about their audiences and develop their customer’s profiles. Customer profiles, built up with the information from paying customers, subscribers and registered consumers, enable publishers to understand their customers better and offer a more personalised customer centric approach. This model has enabled the UK’s The Telegraph reach an online readership of 7.4 million in 2014, while Conde Nast’s The New Yorker has acquired over 13.5 million unique monthly visitors. Create dynamic pricing models according to the user’s geographic location or their age e.g. discounted pricing for students and pensioners etc. 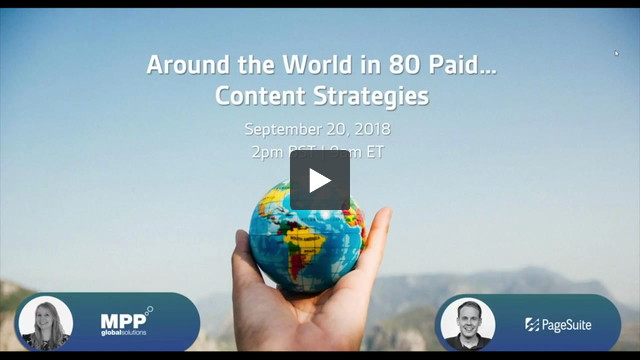 These factors play a key role in helping publishers generate new revenue streams and to reduce churn if you are providing your audience with a choice between how, when and what content they are charged for. What Model Should Your Business Adopt? Choosing the right model for your business weighs heavily on the concept of what you want to gain from the business model. One size does not fit all. With this in mind, media companies need to take into consideration the business and its requirements but most critically, how the adopted model will meet the demands of your audience. You know your target audience and if you want to reach them in new and appealing ways, it is essential to choose a business model which will help drive customers to your online content. This decision plays a key role in your digital monetisation strategy, helping to grow your audience and providing a customer centric service that helps increase customer loyalty, and ultimately, revenues.